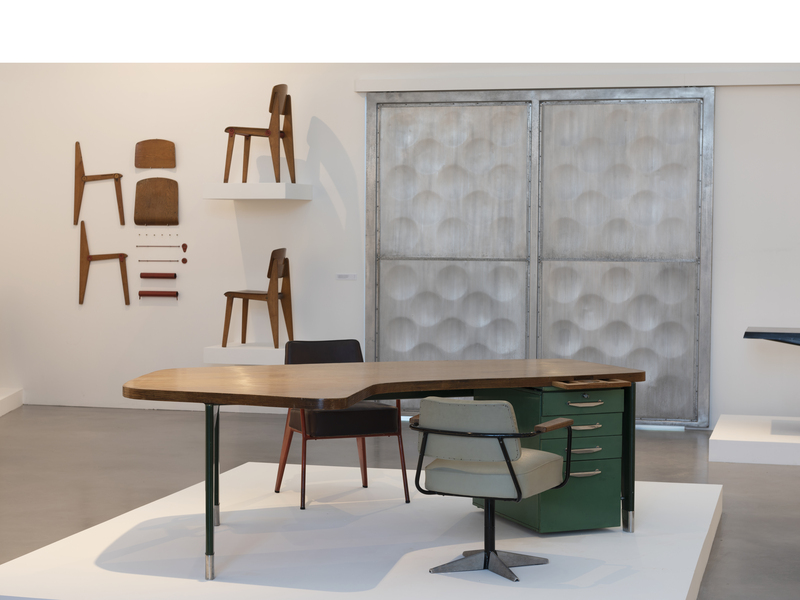 Since the opening of their gallery in 1989, Laurence and Patrick Seguin have carried out promotional work aimed at rediscovering the oeuvre of Jean Prouvé (1901-1984), firstly through his furniture designs, then later through exhibiting particular examples of his architecture such as the prefabricated houses (6×6 and 6×9 Demountable houses, Ferembal house, Métropole house, Les Jours Meilleurs house, Bouqueval School, Villejuif Temporary School). During these thirty years, a large number of exhibitions in international galleries, museums and institutions together with the regular publication of books by the gallery have allowed Galerie Patrick Seguin to reveal the exceptional nature of Jean Prouvé’s creations. Recognized today as one of the central figures in the history of 20th century architecture and design, his work is included in many of the largest museums of the world and the most prestigious private collections. 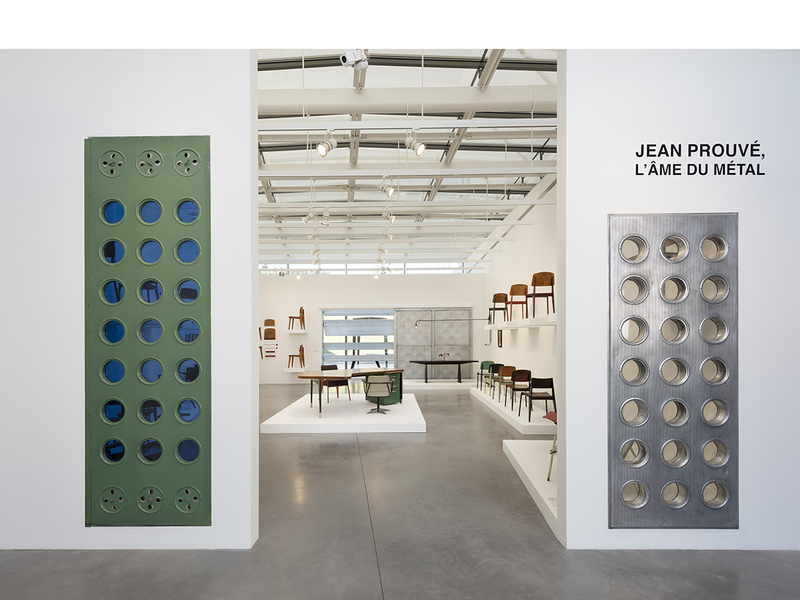 Parallel to this work, Laurence and Patrick Seguin have built a unique collection of furniture and architecture by Jean Prouvé. Sixty of these pieces will be presented at Château La Coste in the exhibition pavilion designed by Renzo Piano. 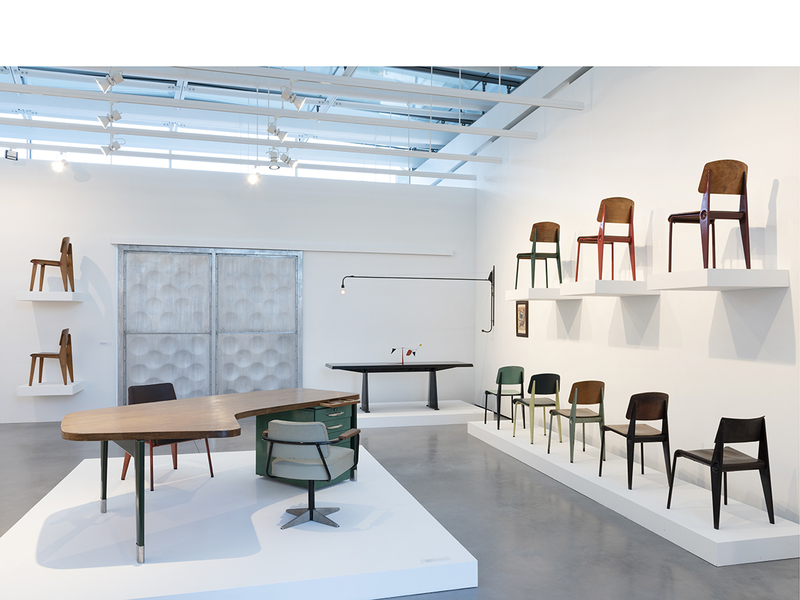 Furniture and architectural elements from the collection are for the most part prototypes, unique pieces, or extremely rare, notably : a Centrale table, Antony (1954), a table from Africa (1952), a Granipoli table (1939), a Présidence desk (1955), a lighted ramp from Le Mans (1954) and a swing-jib lamp from Africa (1952), as well as various types of facades such as a porthole panel from the Casino de Royan (1951), a panel from the Fédération du Bâtiment (1949), and a sliding door from the Pavillon du Centenaire de l’Aluminum (1954). 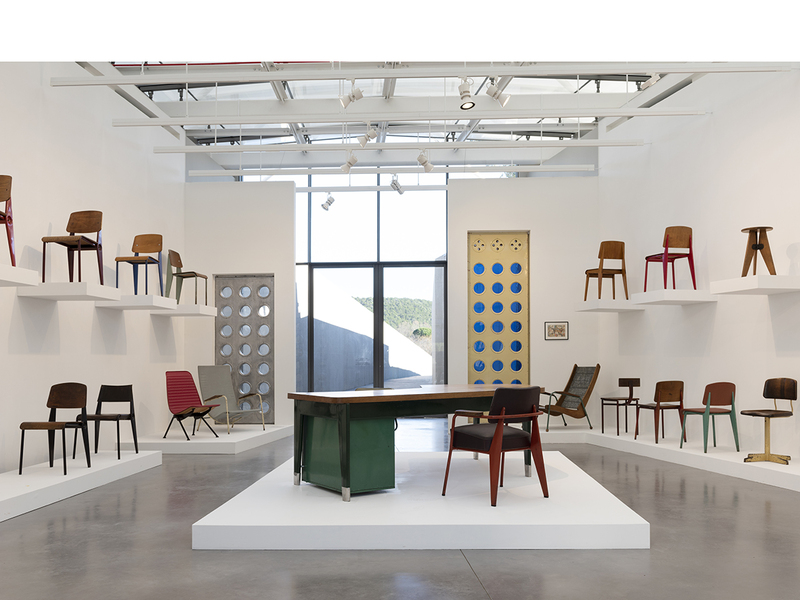 Laurence and Patrick Seguin will also lend a mobile by Alexander Calder and a gouache by Fernand Léger, both pieces offered by the respective artists to their friend, Jean Prouvé. 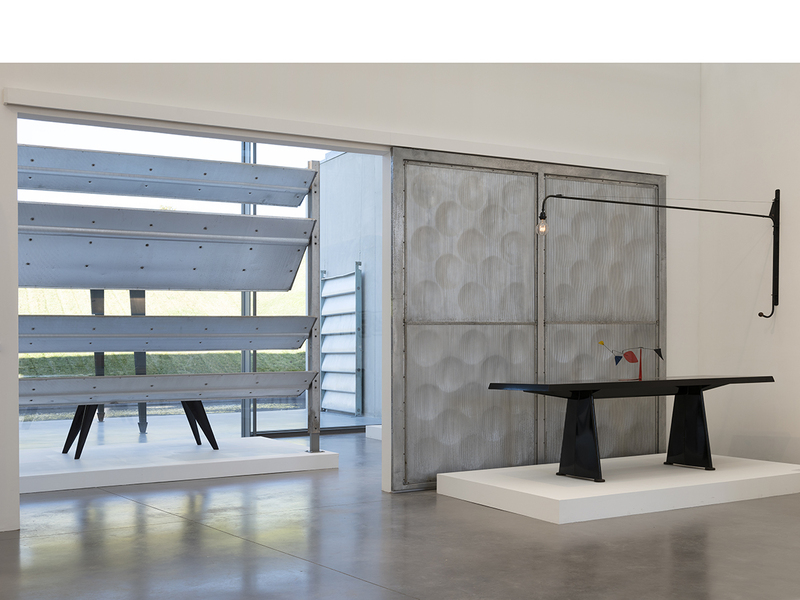 A Richard Prince piece created from a Jean Prouvé original Antony Table will also be displayed. 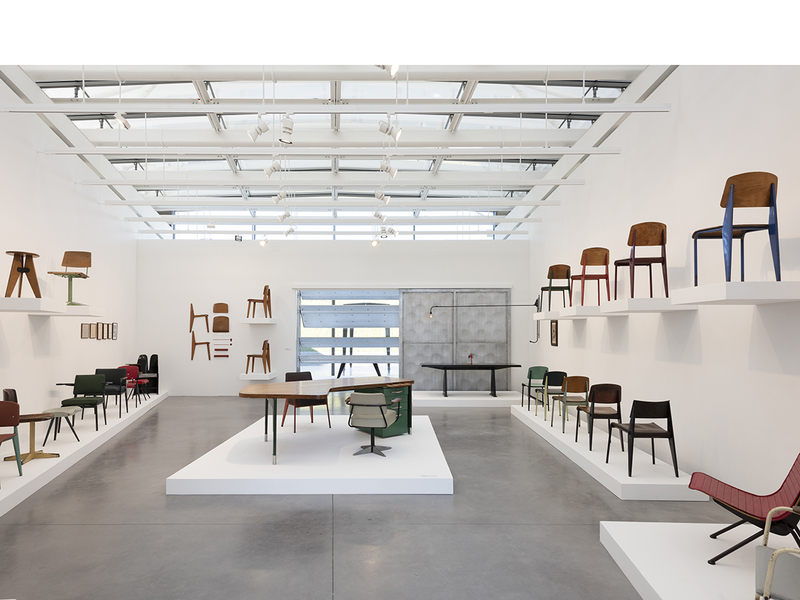 There are numerous chairs in the exhibition (the different versions of the Standard chair from 1934 to 1953, the Antony chair (1955), the Cité chair (1932), the Visiteur Colonial armchair (1952), …), which sum up perfectly Jean Prouvé’s understanding and innovation in construction. The chair is certainly the element of furniture that presents the most constraints for its designer. It must meet both the imperatives of strength and ergonomics while preserving its aesthetic qualities, which are made possible by an imperceptible technical execution that serves the strength of its materials. This principal applies to the ensemble of Jean Prouvé’s creations and is equally as relevant to his work in architecture.